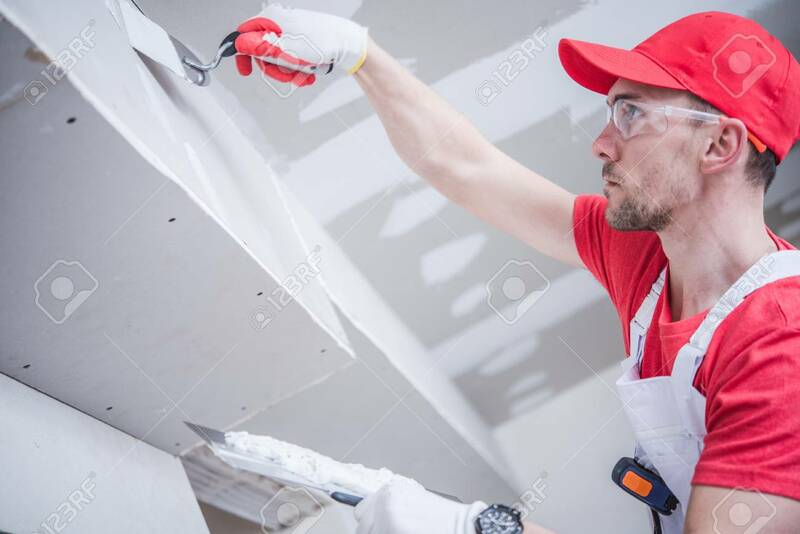 Residential Remodeling Drywall Patching. Caucasian Contractor In His 30s. Construction Theme. Banque D'Images Et Photos Libres De Droits. Image 95173391. Banque d'images - Residential Remodeling Drywall Patching. Caucasian Contractor in His 30s. Construction Theme. Residential Remodeling Drywall Patching. Caucasian Contractor in His 30s. Construction Theme.